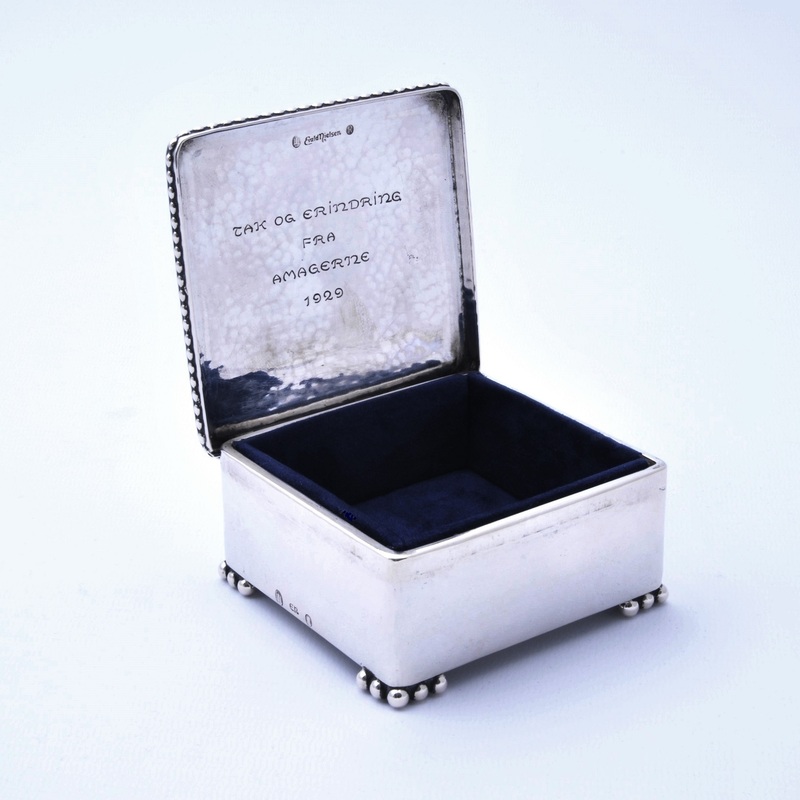 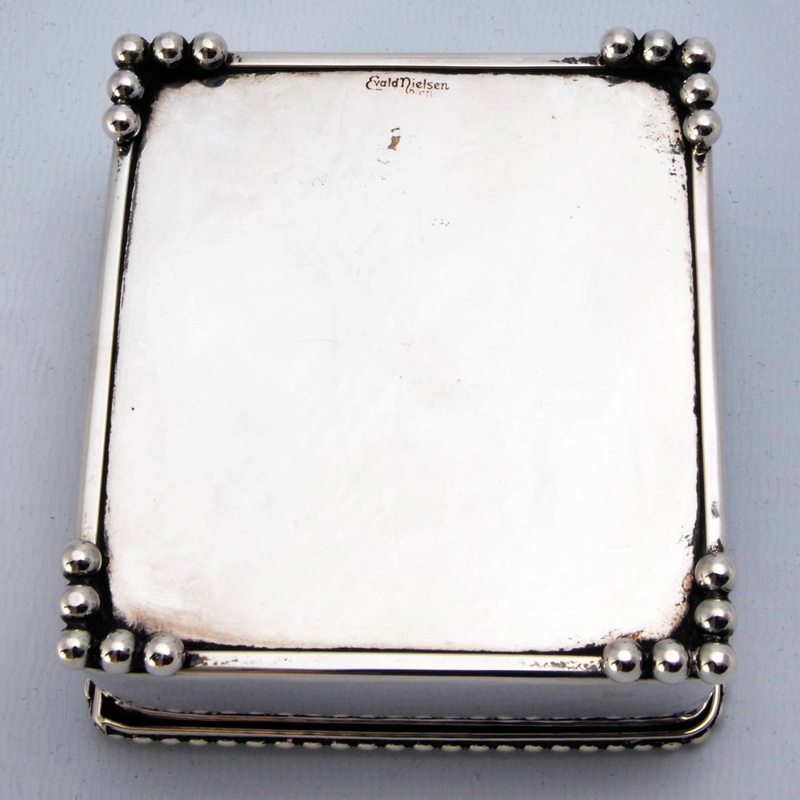 An Evald Nielsen art deco silver box. 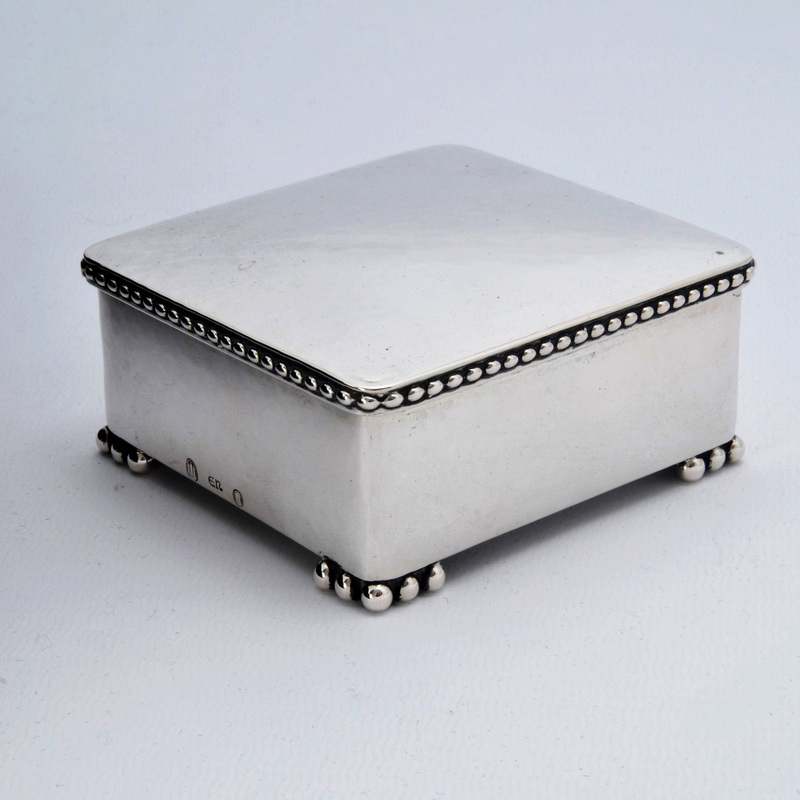 Beautifully made and hand hammered, a very stylish example of Nielsen’s work. 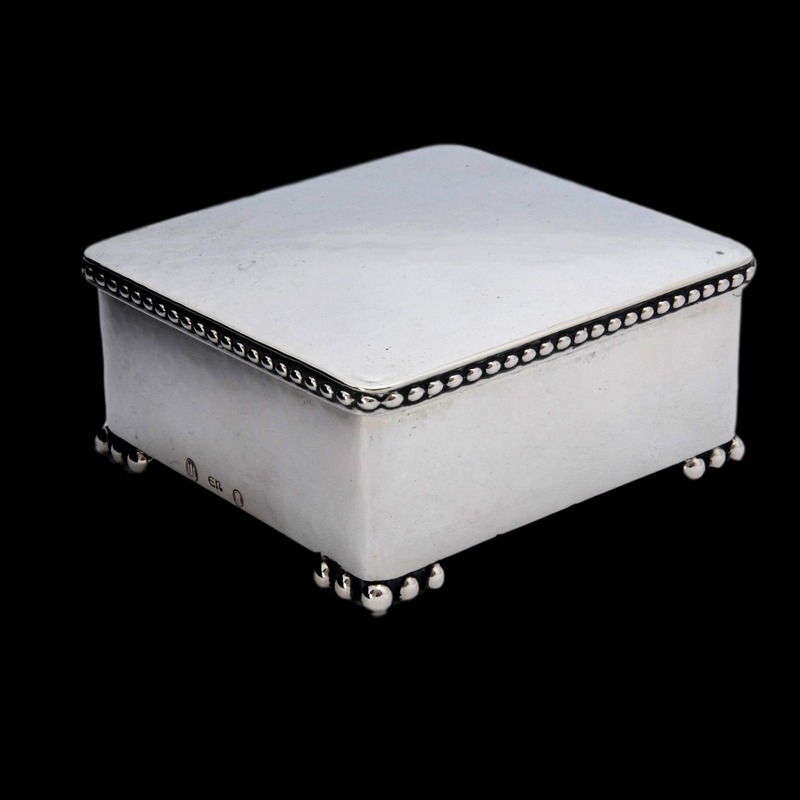 Dated 1928 with inscribed lid from 1929. 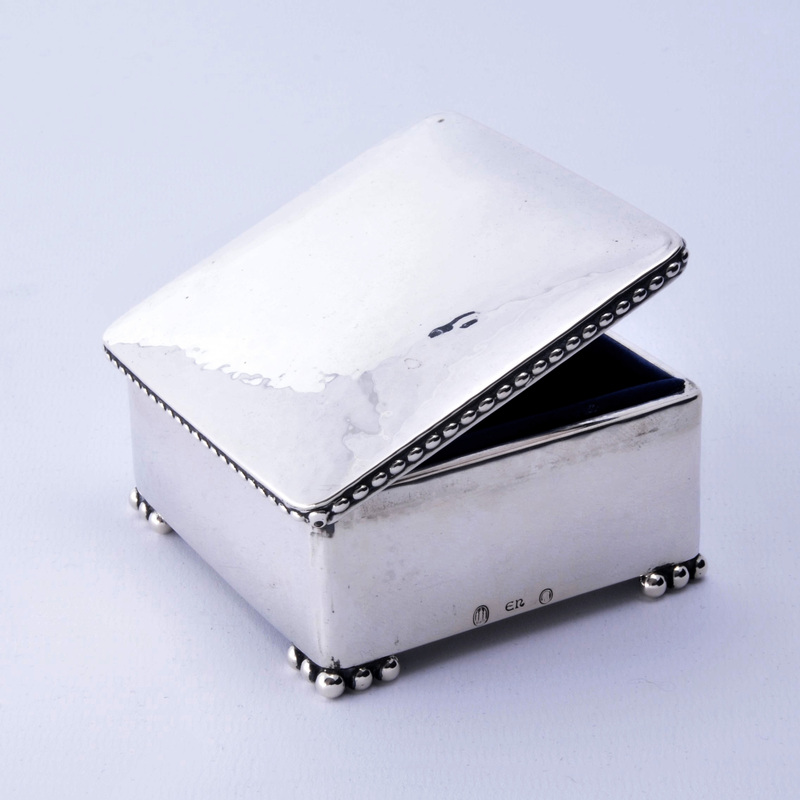 Evald Nielsen is one of Denmark’s most important silversmiths, a contemporary of Georg Jensen, he was leader of the Danish Goldsmiths Guild for over thirty years from 1918.